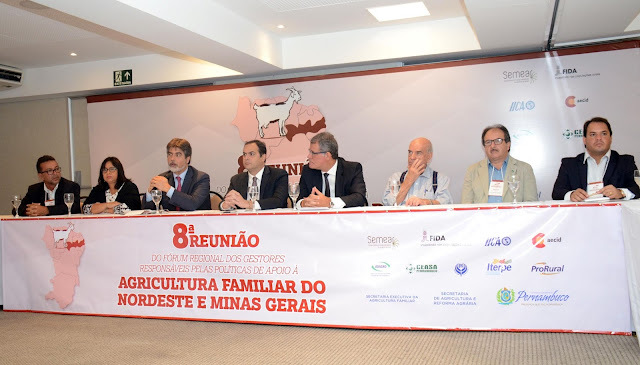 The need to strengthen the productive and commercial capacity of family farmers in north-east Brazil, one of the poorest regions of the country, was the focus of a forum held in Recife, Brazil, from 15 to 17 March. The Eighth North-East and Minas Gerais Family Farming Managers Forum was organized by the knowledge-sharing programme Semear (meaning "to sow" in Portuguese), co-financed by the International Fund for Agricultural Development (IFAD), the Inter-American Institute for Cooperation on Agriculture (IICA) and the Spanish Agency for International Development Cooperation (AECID). Over three days, we shared the lessons learned from IFAD-funded operations in Brazil with government representatives, civil society, the private sector and family farmers. The forum emphasized the need for the promotion of public policies that favour area-based development in the interior of the country, beyond the main cities. Brazil is a major agricultural and industrial power with the strongest economy in Latin America and the seventh strongest in the world. Between 2004 and 2013, the proportion of the population living in poverty decreased from 22 per cent to 8.9 per cent. However, today more than 18 million people still live below the poverty line of whom 8 million are extremely poor. 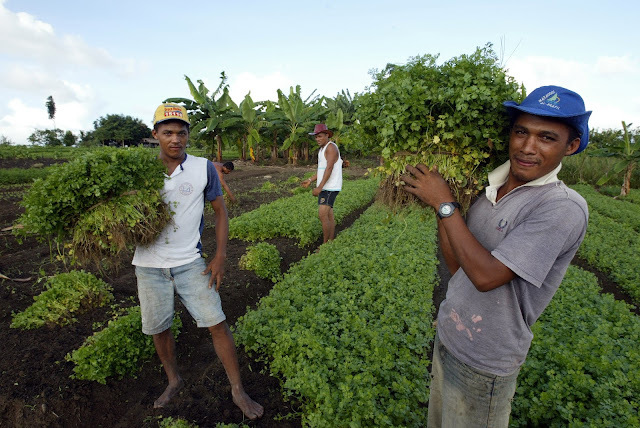 In the north-east part of the country, IFAD's intervention area in Brazil, one in four people in rural areas lives in poverty and in many municipalities poverty rates are above 60 per cent, with some reaching 90 per cent. In order to reverse this situation and facilitate market access for small- and medium-sized cooperatives in this harsh environment, the forum agreed on the need to link technological innovation to family farming and foster specific policies, including technical assistance, extension services, production investments and financial services. Farmers' access to land was also flagged as a sine qua non for sustainable rural development. This Forum is one of Brazil's main platforms for public policy dialogue on rural development and for fighting poverty in the country. It also serves as a bridge among the different actors involved in decision-making in state governments and the Federal Government. Networking for scaling up is a key feature of IFAD's country programme in Brazil. This session of the Forum highlighted the lack of a national strategy for rural development, and the consequent need for political leaders and development workers to discuss priorities and harmonize policies across states and regions, to ensure that recent progress against poverty and in favour of smallholder farmers in north-east Brazil does not get lost due to the current economic crisis. Several development options were discussed in Recife, and an in-depth study on how to open markets for small farmers and artisans was also launched and discussed. This type of "hands-on policy dialogue" ensures harmonization and coordination through experience-sharing, originating mainly from IFAD co-financed projects.